Humans often fear what they don’t understand and to most, snakes are a mystery. Snakes rely on crypsis so even when traversing through their world, we rarely see them. This void of direct knowledge is filled by myth and media, which portray snakes as cold-blooded killers and focus on how deadly and dangerous they are. It’s no surprise then that snakes provoke one of the most common phobias, even in the United States where we lack truly deadly serpents. For example, public outcry based on fear and misinformation recently halted a scientifically-sound conservation plan for timber rattlesnakes. A similar project at the same location was embraced by the community; but that project involved releasing eagles. Rattlesnakes are no less iconic or important to the ecosystem than eagles. In fact, they may help reduce the incidence of Lyme disease, which affects tens of thousands of people in the United States each year, by reducing the number of rodents that harbor this disease. But facts often play second fiddle to emotions where snakes are concerned. Snakes are important components of biodiversity, serving as both predators and prey in nearly every ecosystem on earth. Some of the most feared and hated snakes (vipers, a group which includes rattlesnakes) may be the most effective predators on fluctuating prey populations. Unlike most predators, vipers are not territorial; they often share dens to escape freezing winter temperatures and select hunting sites where others have been successful. They live in greater densities than mammal and bird predators, as much as 100-1000 times denser than their mammalian competitors. Infrequent reproductive events (most give birth only once every two to three years) and their ability to fast make them resilient to prey population crashes. So they can have a greater impact on their prey, including those that can spread disease to humans, than their mammalian or avian counterparts. 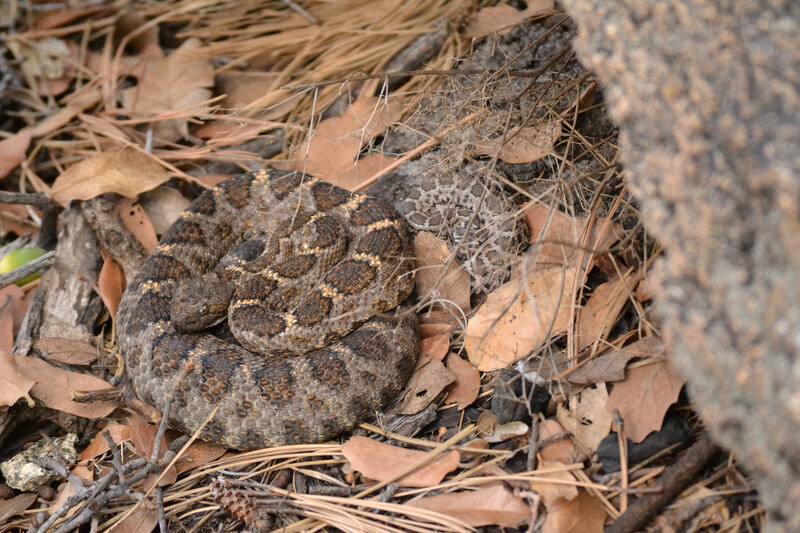 Snakes, specifically rattlesnakes, share many behaviors with us, behaviors that we value. They have friends. They take care of their kids and their friends’ kids too. Within a community of Arizona black rattlesnakes, individuals do not associate randomly; they have friends (pairs of rattlesnakes observed together more often expected by chance) and individuals they appear to avoid. Mother rattlesnakes keep newborns from straying too far from the nest during the first few days of their lives, only gradually letting them explore farther as they approach time to leave the nest at 10-14 days old. They also defend their young from threats such as squirrels, who harass and may even kill newborns. But mothers aren’t the only ones caring for newborn rattlesnakes — still-pregnant females sharing the communal nest and even visiting males and juveniles assist with parental duties. Yet these gentle, caring parents are subjected to some of the most horrible treatment of any animal. Each year, tens of thousands of rattlesnakes are taken from the wild to be displayed and slaughtered for entertainment and profit at rattlesnake roundups, which occur throughout Texas, Oklahoma, Georgia, and Alabama. Promoted as folksy, family-friendly fun, these events foster disrespect for native wildlife and the natural world, and are a gross example of wildlife management based on fear, rather than science. Professional hunters, not bound by ‘bag’ or ‘take’ limits, remove snakes from their native habitats and are awarded with cash prizes for bringing in the most and biggest snakes. Most snakes are caught by pouring gasoline into their winter dens, which pollutes surrounding land and water and may impact up to 350 other wildlife species. Rattlesnake roundups depend on the public’s misconception of snakes as dangerous pests that we cannot safely tolerate near our homes. No aspect of these events is sustainable, educational, or necessary. If promoters and attendees of rattlesnake roundups knew what snakes are really like, would these events continue — who wants to kill a mom or someone’s friend? 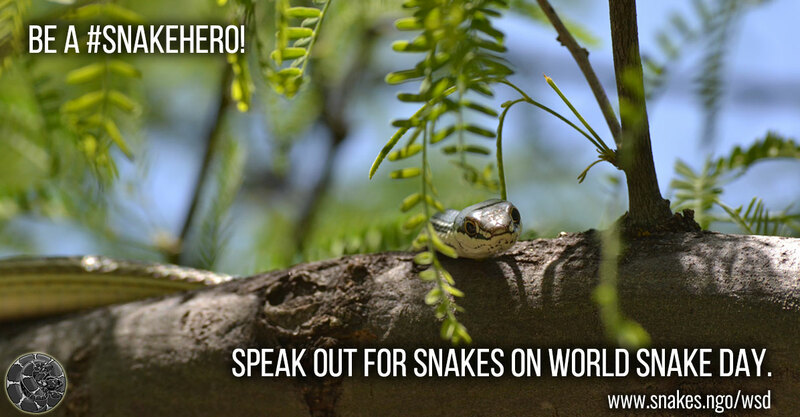 World Snake Day is an opportunity to celebrate snakes and raise awareness about their conservation. Find out more about rattlesnake roundups and how we can stop the slaughter. Learn how to live with snakes. Get to know what snakes are really like so you can counter myths and misinformation with science-based stories about snakes every day. This piece was originally published on AlterNet .